The adidas EQT series continues to get modernized revivals thanks to the ongoing combinations of Primeknit, Boost, and just the right amount of retro inspiration with popular silhouettes like the adidas EQT Support 93/17 holding down the release slate. 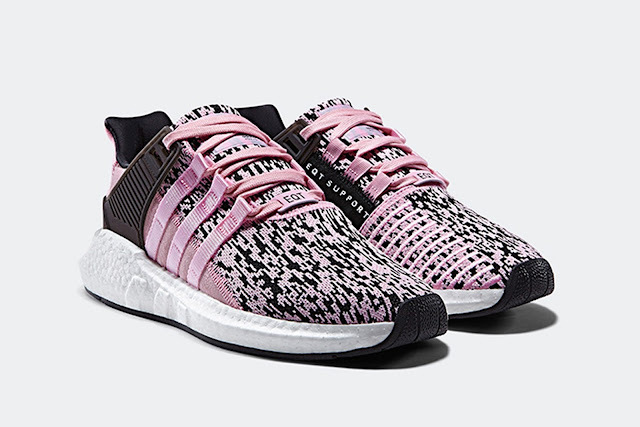 Presented in Wonder Pink and Core Black, both of these iterations of the EQT Support 93/17 feature a classic pixelated graphic on the Primeknit upper with premium nubuck overlays, structured by the shoe’s signature molded TPU support panel and heel cap. 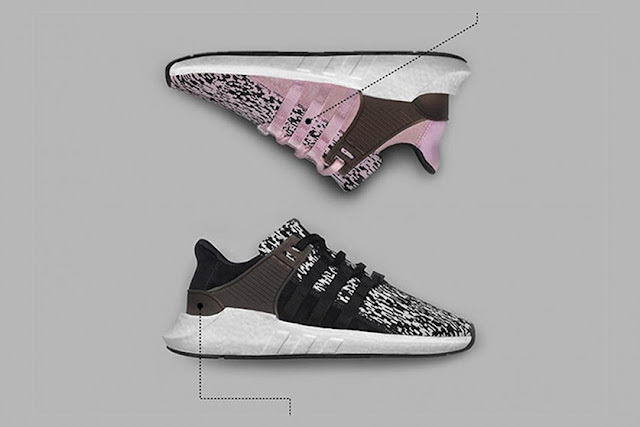 Additional details include touches embroidery on the vamp, EQT branding on the medial side and essential EQT webbing tape showing the 3-Stripe mark. Down below we see a full-length BOOST midsole with molded EQT features showing the 3-Stripe mark. 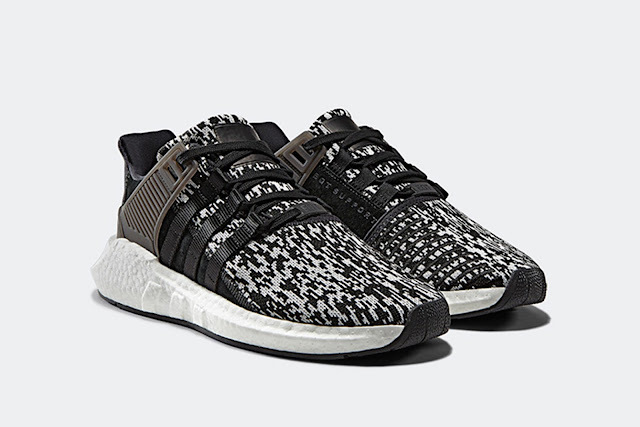 The adidas Originals EQT Support 93/17 Still Breeze Glitch Camo on Saturday, 8 July 2017.